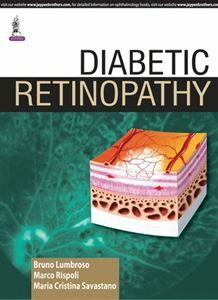 This book “Diabetic retinopathy” summarizes about the relation between diabetes and blindness or severe loss of vision, different imaging techniques and treatment measures used for diabetes retinopathy. Diabetes is one of the main causes of blindness in many countries and working population. Diabetic retinopathy is a social, clinical problem which is associated with duration of the diabetes, high blood sugar levels and arterial hypertension etc. Advanced diabetic retinopathy is also found in many cases and it is difficult to treat, due to late diagnosis. This book is divided in to ten chapters and each chapter covers different aspect of diabetic retinopathy. The basics of diabetic retinopathy, classification, pathogenesis, pathophysiology of diabetic retinopathy are thoroughly described. Retinal fluoroangiography, OCT in diabetic retinopathy and OCT angiography imaging are used for basic information on epidemiology, pathogenesis of diabetic retinopathy. Various diabetic retinopathy treatment measures are also described here.